We professional resume writers see it every year. Christmas ends, and suddenly it seems that everyone has decided to find a new job. Most of us get so busy that we don’t come up for air until March. If you’re considering a job search in the new year, now is the time to get your resume in shape. That way you’ll be able to get a head start on all those people who wait until after the holidays. 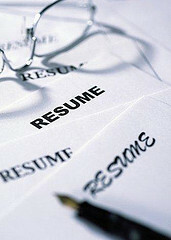 So here are 5 quick and easy tips to supercharge your resume. Most people wait until they absolutely need a resume, and then rush to try and update what they have at the last minute, inevitably doing a poor job. Instead, spend some time over Christmas creating a powerful and thoroughly up-to-date sales document. (If you do this every Christmas and also any time you change jobs, you’ll never forget important achievements and you’ll always have an up-to-date resume should an opportunity present itself out of the blue). Employers need to see that you have made a positive difference in prior roles. If your job has anything to do with making sales or saving money or improving key performance metrics, lead with numbers wherever possible. (e.g. “increased sales 9% by …” or “saved $10,000 per year by ….”). If you work in a job where success can’t be quantified, you can still focus on the impact you’ve made. (e.g. “improved the standards of patient care by …” and then explain how you did it. Or “created a positive learning environment for the children by …”). It can be tempting to try to communicate everything about yourself, but it will only confuse recruiters and make your resume less effective. When it comes to your resume, less really is more, so focus on telling a clear, succinct story with one central message. For example, if you manage social media, your message might be that you can drive sales through improved audience engagement. To support your central message, you can provide stats and numbers that back up your claims. Often a well-written resume is rendered less effective by the way it’s laid out on the page. Take the time to review our resume samples and get ideas for how you can use simple formatting tricks to draw the eye to key pieces of information. Don’t get crazy with fonts or images. Just focus on making sure that your core message jumps off the page. 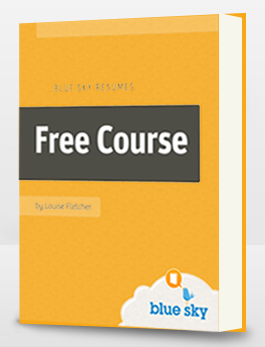 For more on how to write a killer resume, check out our free resume writing course. It’ll transform your resume and your results. Good tips Lousie. But often we see candidates (mainly freshers) come to us with resumes showing fake working experience. I would suggest people should avoid such tactics as it can ruin their relationships with their prospective employers. Thanks for these helpful tips, Lousie. I especially agree about having a nicely formatted resume. I see a lot of people spend hours on writing a resume without paying any attention to how it is laid out.